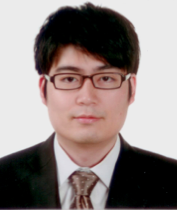 I am from Seoul, South Korea, and got Bachelor’s and MA/Ph.D’s degrees at Seoul National University. Then, I joined Johns Hopkins University as a Postdoctoral Research Fellow in 2010. I am now participating in DARPA MCMA (Materials with Controlled Microstructural Architecture) program and researching about simulation and design optimization of 3D woven micro-structural materials. Ha, S.-H, & Guest J.K. (in press). Optimizing inclusion shapes and patterns in periodic materials using Discrete Object Projection. Structural and Multidisciplinary Optimization. Yoon, M., Ha, S.-H., & Cho, S. (2013). Isogeometric Shape Design Optimization of Heat Conduction Problems. International Journal of Heat and Mass Transfer, 62, 272-285. Guest, J. K., Asadpoure, A., & Ha, S.-H. (2011). Eliminating beta-continuation from Heaviside projection and density filter algorithms. Structural and Multidisciplinary Optimization, 44(4), 443–453. Ha, S.-H., Choi, K. K., & Cho, S. (2010). Numerical method for shape optimization using T-spline based isogeometric method. Structural and Multidisciplinary Optimization, 42(3), 417–428. Cho, S., & Ha, S.-H. (2009). Isogeometric shape design optimization: Exact geometry and enhanced sensitivity. Structural and Multidisciplinary Optimization, 38(1), 53–70. Kim, M.-G., Ha, S.-H., & Cho, S. (2009). Level set-based topological shape optimization of nonlinear heat conduction problems using topological derivatives. Mechanics Based Design of Structures and Machines, 37(4), 550–582. Ha, S.-H., & Cho, S. (2008a). Level set-based topological shape optimization of nonlinear heat conduction problems. Numerical Heat Transfer, Part B: Fundamentals, 54(6), 454–475. Ha, S.-H., & Cho, S. (2008b). Level set based topological shape optimization of geometrically nonlinear structures using unstructured mesh. Computers and Structures, 86(13-14), 1447–1455. Cho, S., Ha, S.-H., & Park, C.-Y. (2006). Topological shape optimization of power flow problems at high frequencies using level set approach. International Journal of Solids and Structures, 43(1), 172–192. Cho, S., Ha, S.-H., & Kim, M.-G. (2006). Level set based shape optimization of geometrically nonlinear structures. Solid Mechanics and its Applications. Ha, S.-H., & Cho, S. (2005). Topological shape optimization of heat conduction problems using level set approach. Numerical Heat Transfer, Part B: Fundamentals, 48(1), 67–88. Seung-Hyun Ha, Vivien J. Challis, James K. Guest, Joseph F. Grotowski, Anthony P. Roberts, "Estimating Material Cross-Property Bounds with Topology Optimization,” WCSMO-10, Orlando, FL, May 20-24, 2013. Seung-Hyun Ha, Yong Zhang, Longyu Zhao, Keith Sharp, Timothy Weihs, Kevin Hemker and James Guest, “Optimal Topology for 3D Woven Lattice Materials,” TMS 2013, San Antonio, TX, March 3-7, 2013. Seung-Hyun Ha and James Guest, “Optimal Design of 3D Woven Porous Materials,” International Workshop On Computational Mechanics Of Materials XXII, Baltimore, MD, September 24 - 26, 2012. Seung-Hyun Ha and James Guest, “Optimizing Inclusion Shapes and Patterns using Heaviside Projection Topology Optimization,” 14th AIAA/ISSMO MAO Conference 2012, Indianapolis, IN, September 17-19, 2012. Seung-Hyun Ha and James Guest, “Optimal Topology for Woven Porous Materials,” USNCCM11, Minneapolis, MN, July 25-29, 2011. Seung-Hyun Ha and James Guest, “Topology Optimization of 3D Woven Porous Materials,” WCSMO9, Shizuoka, Japan, June 13-17, 2011. Seung-Hyun Ha, Bon-Yong Koo, Minho Yoon and Seonho Cho, “Isogeometric Shape Optimization of Design-dependent Structures, WCCM9, Sydney, Australia, July 19-23, 2010. Research Collaboration with Professor K.K. Choi, at the University of Iowa (Sep. 2007 – Aug. 2008). Lotfi, R., Ha, S.-H., Carstensen, J. V., & Guest, J. K. (2013). “Topology Optimization for Cellular Material Design.” 2013 MRS Fall, Boston, MA, December 1-6, 2013. Ha, S.-H., Cho, S., & Choi, K. K. (2008). Shape design optimization using isogeometric approach. 12th AIAA/ISSMO Multidisciplinary Analysis and Optimization Conference, MAO. © 2013 Dr. James K. Guest. All rights reserved.